activities, and seek information, advice and guidance. Our activities include, tai chi, creative writing, art class, computer lessons, dancercise and more. All designed to promote independence and wellbeing, and to enhance later life. Visit the Venton Centre for an up-to-date activity timetable. 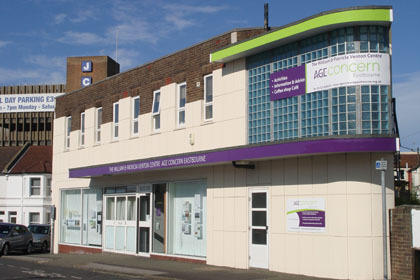 Information and advice on health, welfare benefits, consumer issues, and local concerns can be obtained at the centre. We also offer a number of free services, providing professional legal advice, will-writing (conditions apply), and pension assistance. sandwiches freshly made on the premises. These are accompanied by a selection of speciality teas, coffees and homemade cakes. Arndale Centre, by the exit next to Sainsbury’s. Mon to Fri 9:00 a.m. to 5:00 p.m.